Our giving-back cards are 5X5”, printed in the USA on recycled-content paper, and packaged in clear sleeves. They are blank inside. 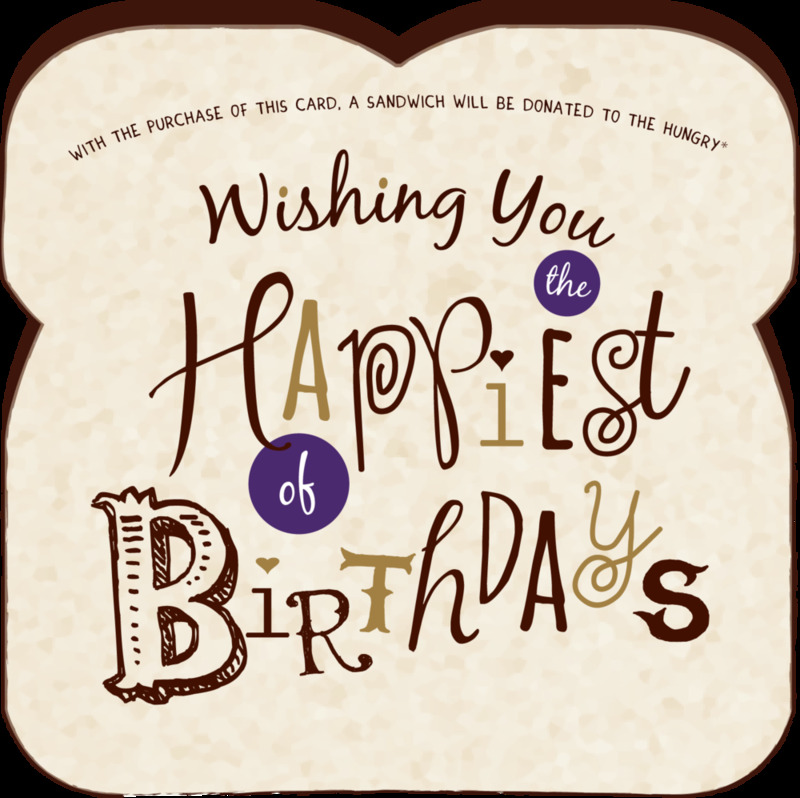 The phrase “With the purchase of this card, a sandwich will be donated to the hungry*” appears on the top of each card.